Bill Kurtis, legendary Chicago news anchor and beekeeping hobbyist, co-hosted a locally sponsored event on the health of bees and the alarming surge of a phenomena called Colony Collapse Disorder, a disease killing bees at a very brisk pace. 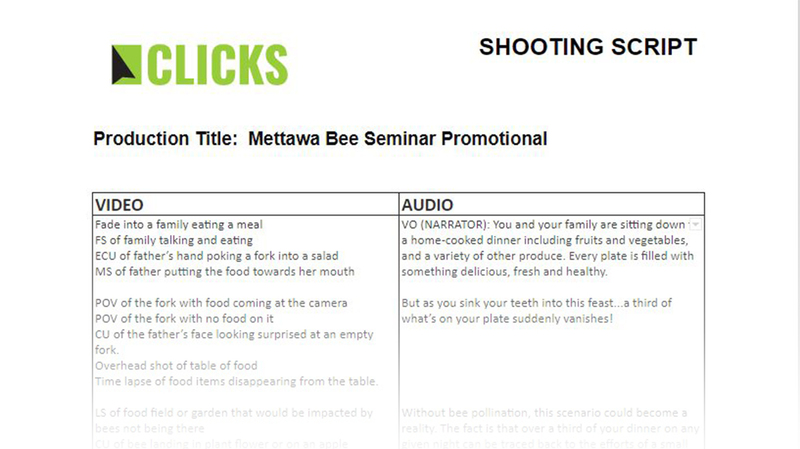 Clicks Web Design was asked to create a 1-page, “save-the-date” flyer, a logo, and a promotional video designed to tell the story surrounding bee health and nutrition and the tactics local beekeepers in Lake County are using to keep beehives healthy and thriving, especially over the cold, winter months. We also developed a temporary website prior to the event to allow attendees to purchase tickets online and ask questions regarding the seminar. 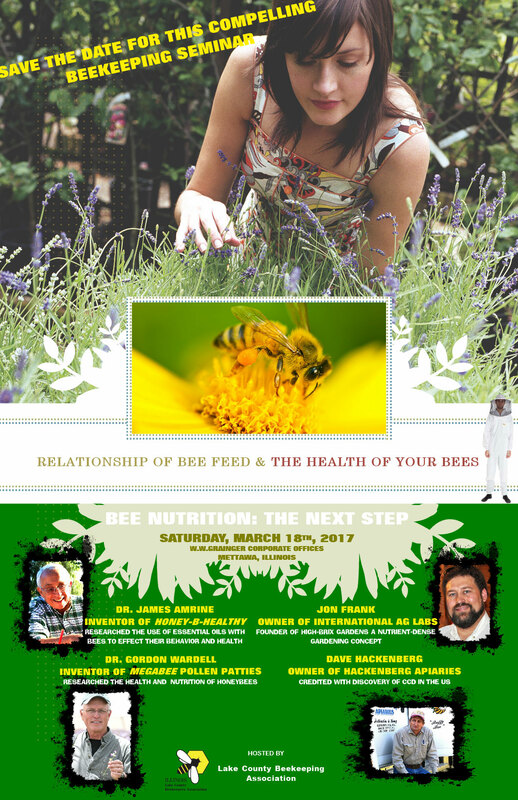 The seminar, held in March 2017, provided attendees with the latest information about bee health and nutrition. Guest speakers included Dave Hackenberg, a commercial beekeeper who witnessed the first case of Colony Collapse Disorder in November 2006 and reported it publicly in February 2007. The first step in a video production is a project brief, designed to establish focal points, define the target audience, and set the overall tone of the finished product. This aids in the development of an appropriate story and script for the production and helps to solidify a production schedule and shot list so that everything goes smoothly on the day of shooting. Of course, we’d be lying if we said that all that pre-planning allows for zero mistakes on the day of shooting. That’s where post-production work comes in. Knowing how to properly edit the flow of a video, color-grading, audio mixing, and other effects are required for a polished finished product. With this production, all the footage was shot in 1-1/2 days on location. We started with a well-defined goal and target and wrote a script and storyboard to support the goal. A solid production schedule allowed for everyone to know their parts and when they were needed. Post production editing produced a final product that exceeded our client’s expectations. Attendance for the event sold out weeks in advance. Additionally, this video production was featured on a live broadcast of a local TV network as well as referenced in many local newspaper publications online. Creating a logo for the bee seminar involved listening and understanding the client’s vision. They wanted the logo convey something fun, colorful, and airy.